Manufacturing of plastic and metal products :: VIDIRA-BULGARIA Ltd.
"Vidira" is a leading manufacturer and supplier of plastic and metal products for the construction industry. An important part of that is the possibility to produce our own instrumental equipment, which leads to full integration of all processes. For you we are going to make the best choice for fast, accurate, and most flexible services in the field of product design. Why?, because we have been on the market for 21 years and our priority, proven over time, is to provide prompt services to our customers with guaranteed quality of products and services. 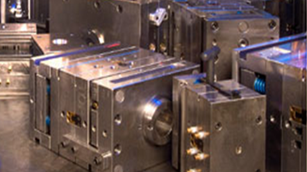 Injection molding is one of the most popular processes for manufacturing of plastic products. It is suitable for the production of thermoplastic polymers. Usually the first step is to melt the plastic granules under high temperature. The molten plastic is then injected into the mold cavity, which is inside of the die forming the work piece. The product of the thermoplastic polymer (molten plastic material) is then cooled down and is ejected from the mold die. 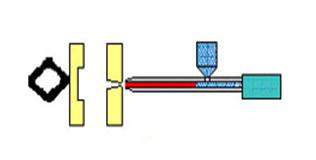 Although the cost of making the tool is relatively high, injection is the most widely used manufacturing process for plastic materials in mass production. Its advantages are low cost, high productivity, and the chance to make very intricate shapes of products. The machine control is carried out with robotic devices, which combined with the optimal quantity of details made by the tool in a cycle, leads to a lower cost of a product. Address: 1220 Sofia, "Jordan Hadzhikonstantinov 97A" str.